Win a FREE SERVICE with us! We are donating £1.00 for each of the first 50 like and shares we get to the wonderful Exmouth and Lympstone Hospiscare, an independent charity that relies on public donations and fund raising charity events. 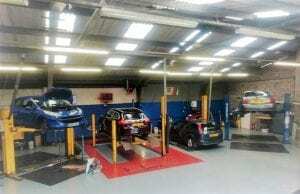 For your chance to win a minor service here at Palmers Garage, just like and share this post. The winner will be chosen at random by Lucy Hancock the Income generator for Exmouth Hospiscare.